Prof Clarke has more than 25 years’ experience of the conduct and oversight of rigorous evaluations of the effects of health and social care, including numerous randomised trials, systematic reviews and other types of prospective research. His work on systematic reviews includes the central collection of individual participant data from hundreds of randomised trials of treatments for women with breast cancer, leading to internationally-renowned reports that influence the care of women worldwide. This research, his other systematic reviews, his role in assessing tens of thousands of reports for the Cochrane Central Register of Controlled Trials and his many years of teaching about randomised trials and systematic reviews have provided him with unique insights into the conduct of a vast number of randomised trials. He is building on this experience when designing and conducting research into the methods of evaluations of health and social care, and established the SWAT and SWAR (Studies Within A Trial / Review) initiatives to facilitate this. He has been actively involved in the design, conduct, monitoring and reporting of several randomised trials that have recruited more than 1000 participants, in breast cancer, maternity care, poisoning and sub-arachnoid haemorrhage. 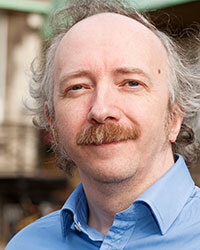 Prof Clarke is the Director of the Northern Ireland Clinical Trials Unit and the Hub for Trials Methodology Research. Prof Clarke has been a leading proponent of the importance of using systematic reviews in the design and reporting of clinical trials for some time, and his work on core outcome sets (as part of the COMET Initiative) also serves to improve the quality and usefulness of trials and reviews.